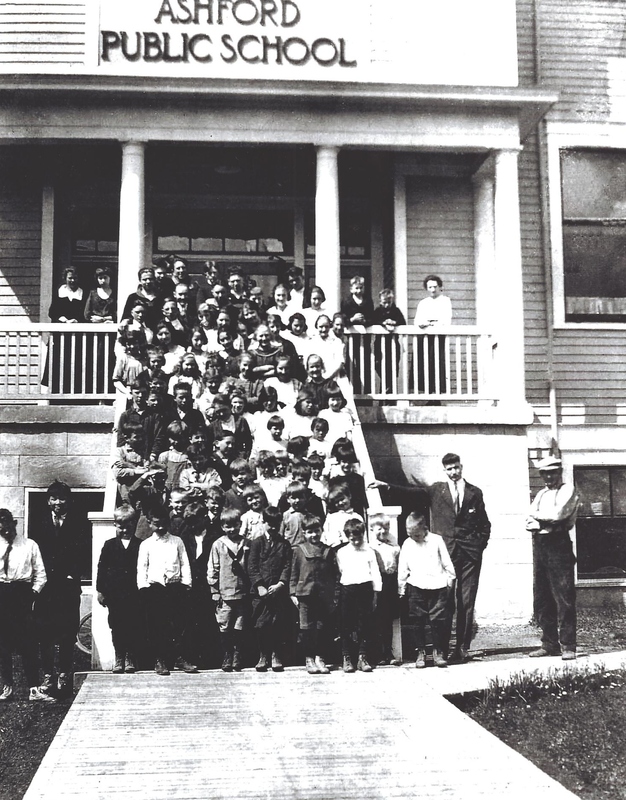 There was a school in Ashford from 1906 until it was consolidated with Eatonville in 1949. It turns out (see Randy’s comments) only the basement level remains. The school building burned down around 1959 and the basement was remodeled becoming the Highlander Tavern and Cafe. It is still there today and has an abundance of old photos of the area. Photo courtesy of Laurie Anderson Osborn. The little building in the back left was the Kindergarten Classroom. 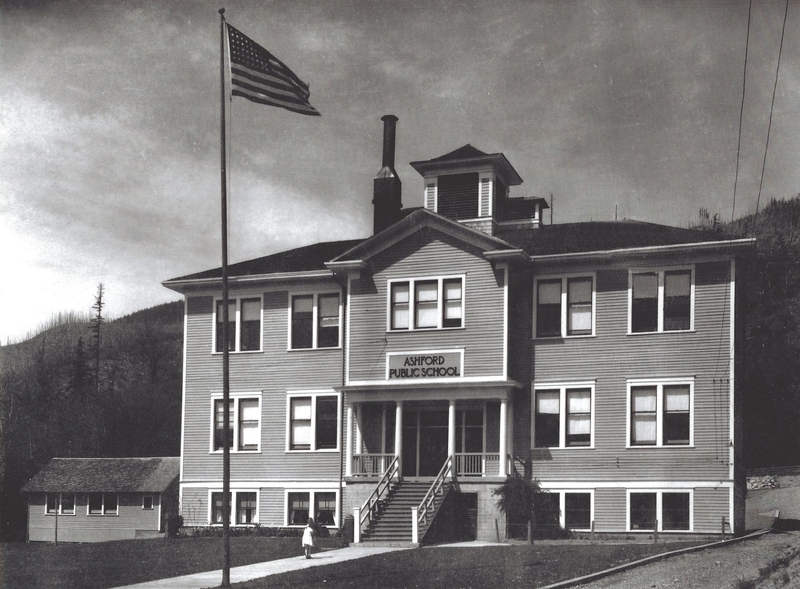 The old school closed down at Christmas Break 1952 when we were all transferred to Columbia Crest School. Thanks for the information. Is the school still there? It’s been a while since I’ve roamed around Ashford. Only the basement level remains. The school building burned down around 1959 if memory serves me. The basement was remodeled and became the Highlander Tavern and Cafe. It is still there today and has an abundance of old photos of the area. My personal thanks to you for keeping these old places and stories alive.